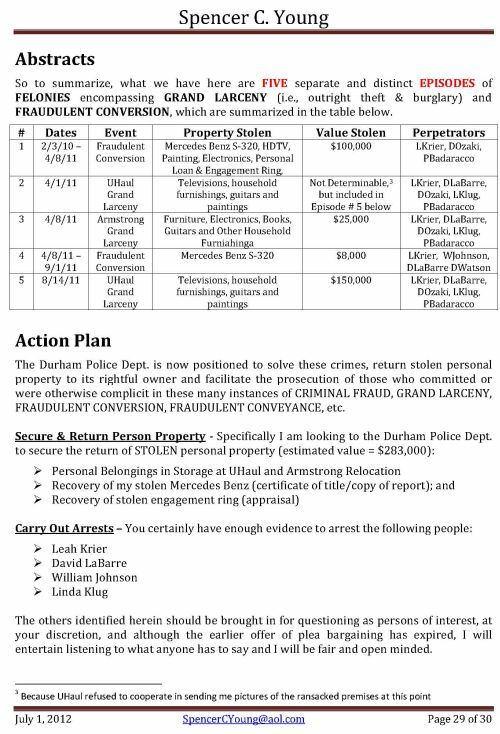 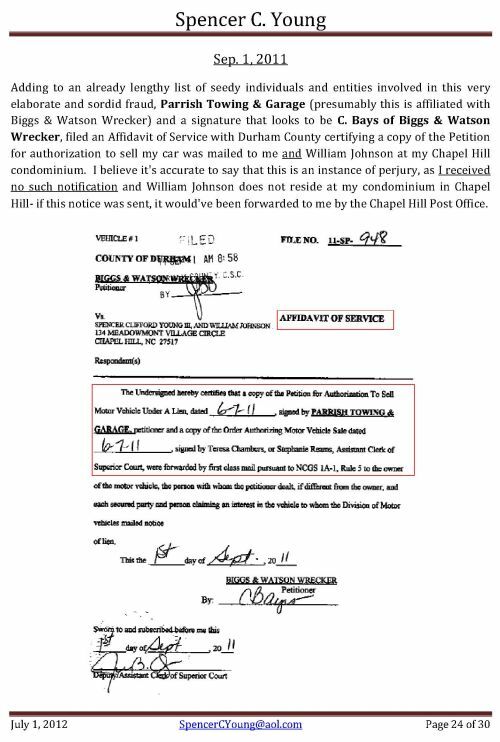 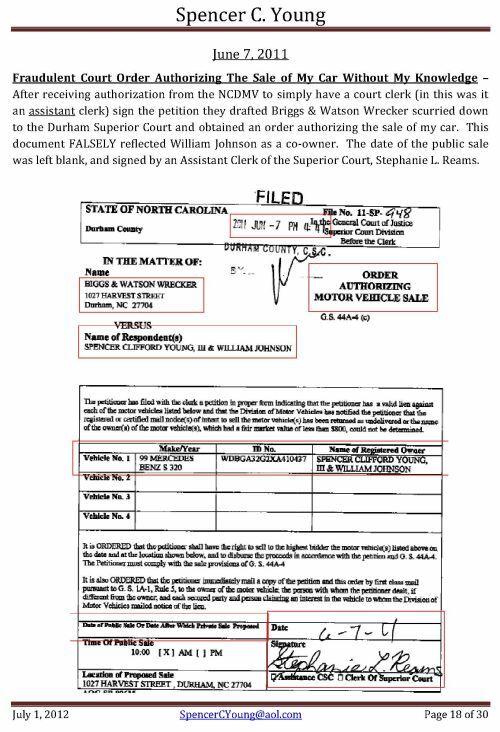 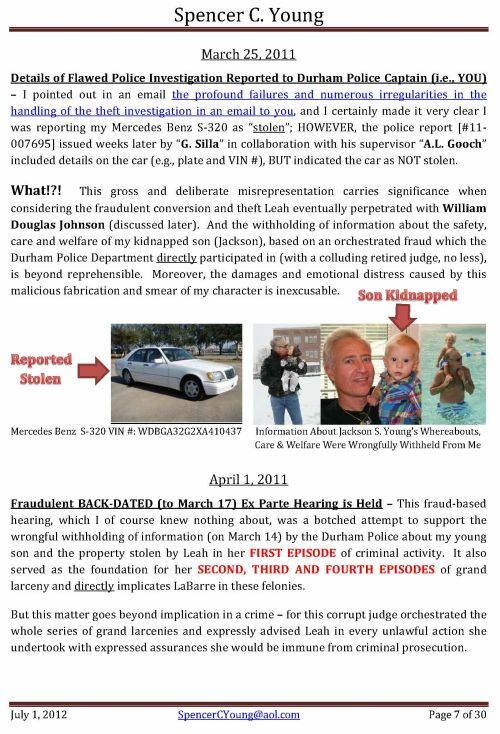 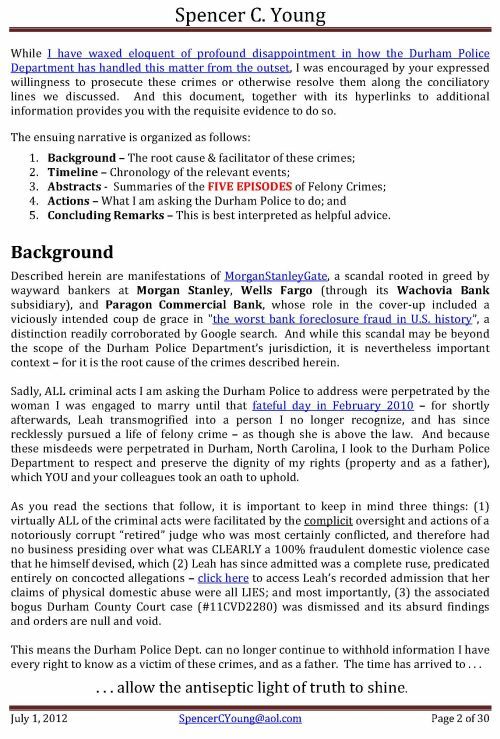 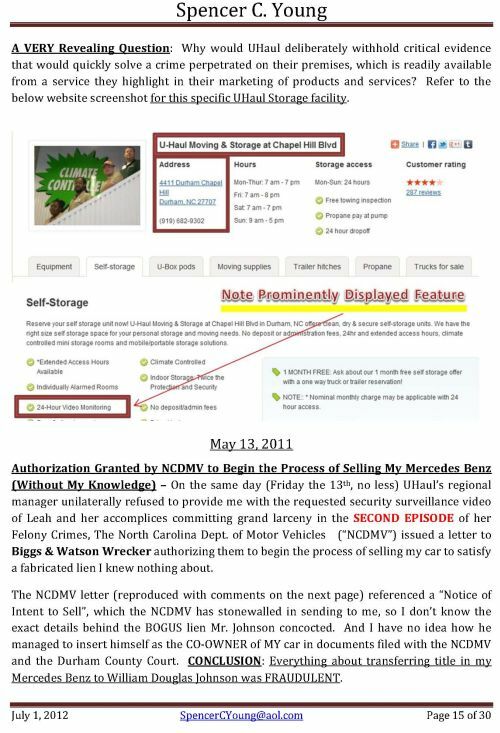 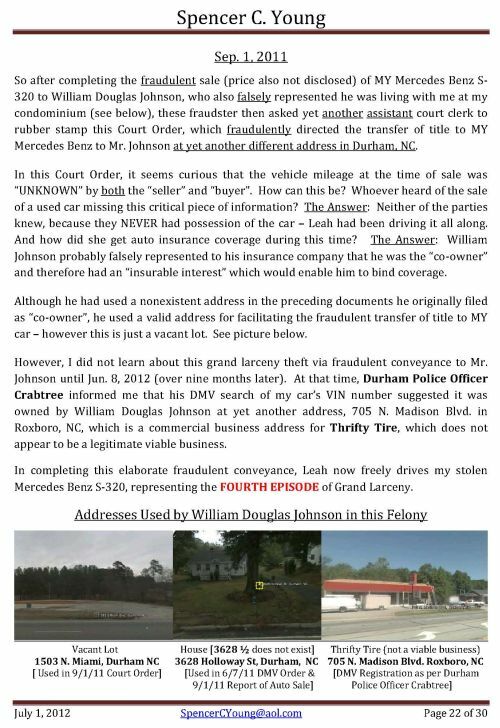 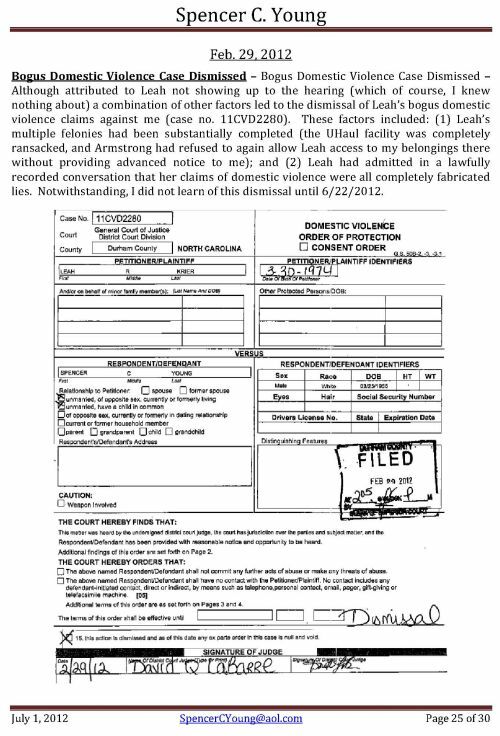 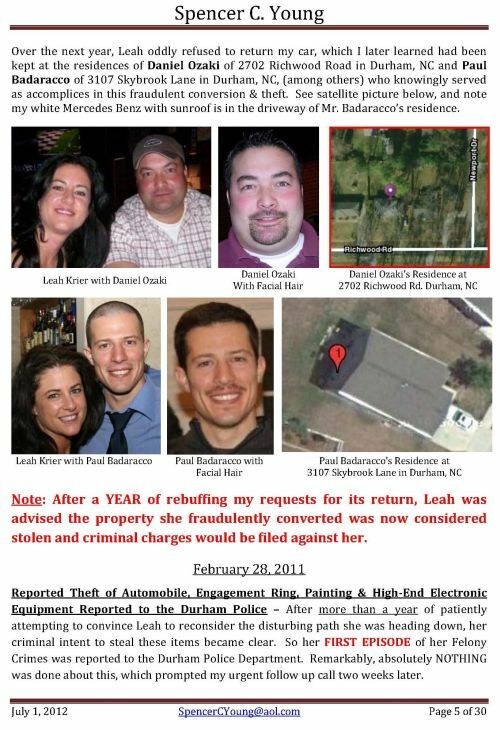 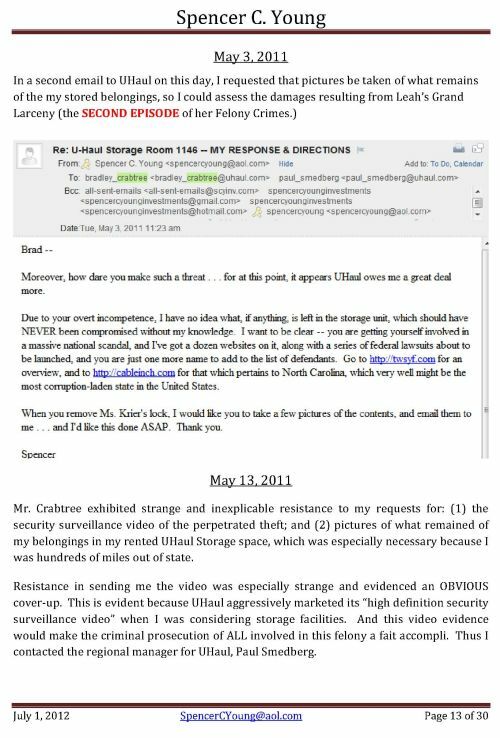 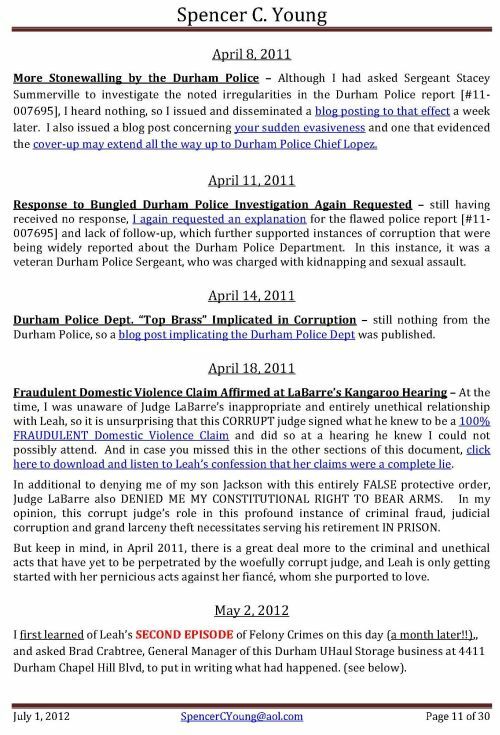 Reproduced below is the criminal complaint filed on July 2, 2012 with Captain Ray Taylor of the Durham (NC) Police detailing FIVE episodes of felonies masterminded by a woefully corrupt Durham County (NC) Judge, David Q. LaBarre, and executed by his girlfriend Leah R. Krier, along with the assistance of an astonishing number of complicit others. 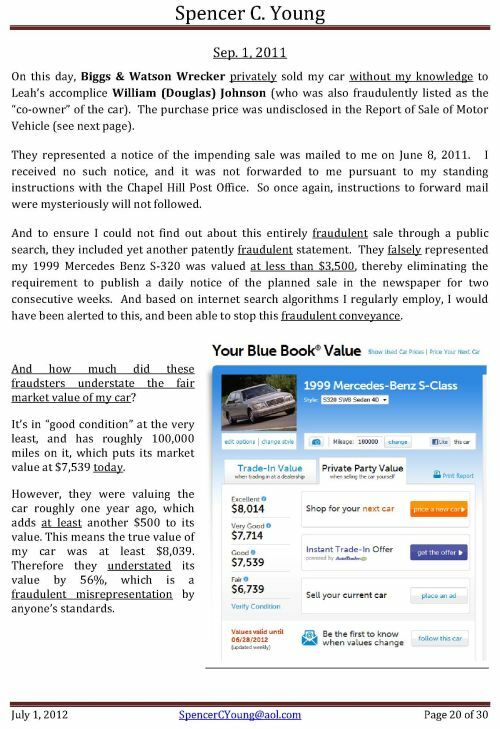 Quid Pro Quo Or Other Incentives? 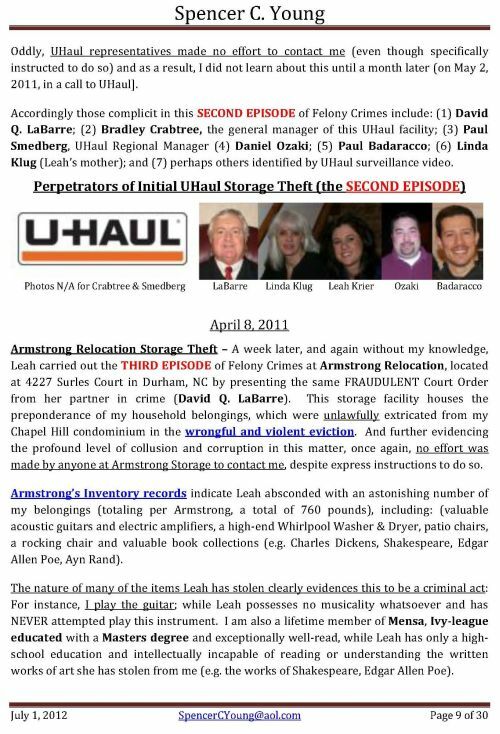 Ms. Krier's actions were undertaken approximately one year after the coup de grace in the worst bank foreclosure fraud in U.S. history -- to wit, a violent eviction and attempted assassination on Feb. 2, 2010 by an Orange County Sheriff SWAT team, which was UNLAWFULLY carried out on a mortgage that had NEVER been delinquent and was PAID-IN-FULL!! 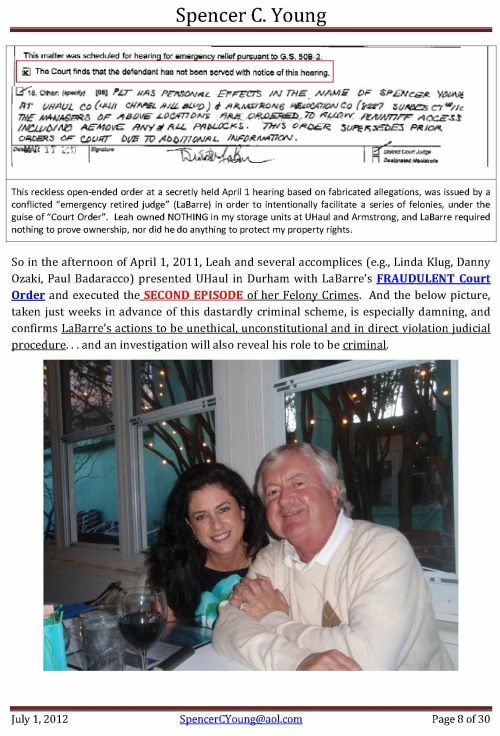 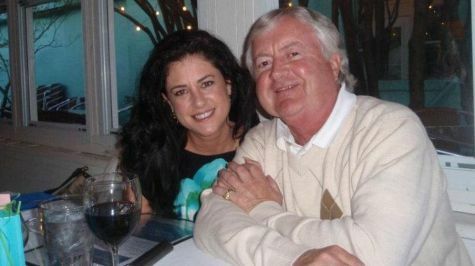 It is unclear whether the romantic relationship Ms. Krier established with Judge LaBarre in 2010 was a form of quid pro quo in consideration for his complicit role in FIVE episodes of felonies perpetrated over a six month period in 2011, or whether the crooked judge was presented with other incentives to convince him to risk his career, reputation, livelihood and liberty. 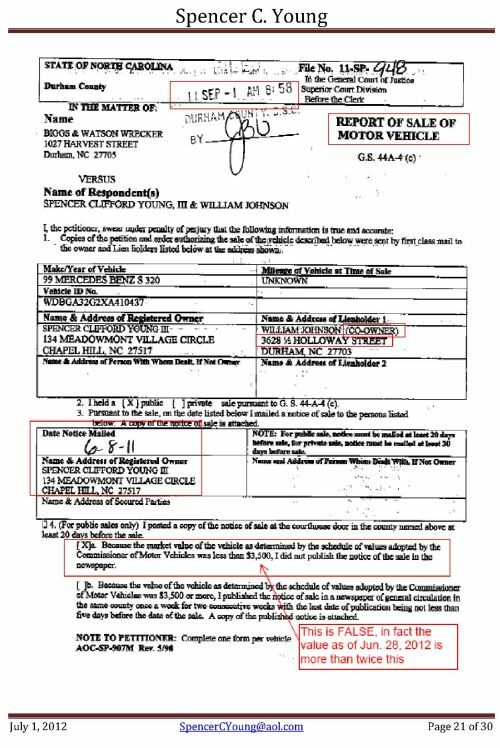 All told, 17 of Spencer C. Young's Constitutional Rights were not only violated . 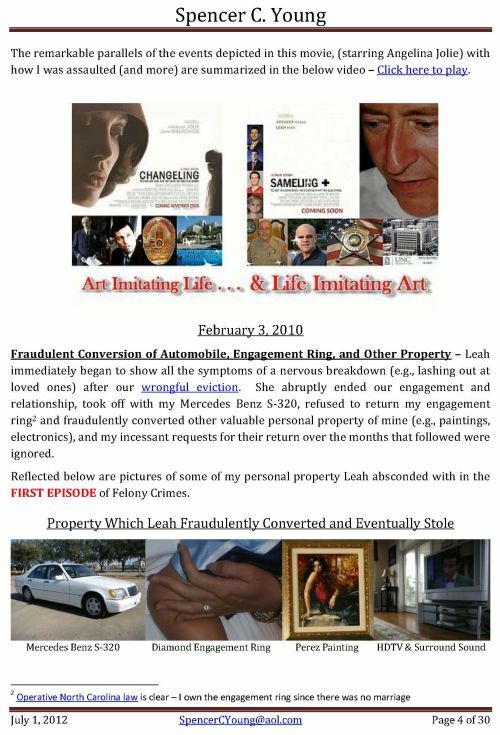 . . they were TRAMPLED UPON. 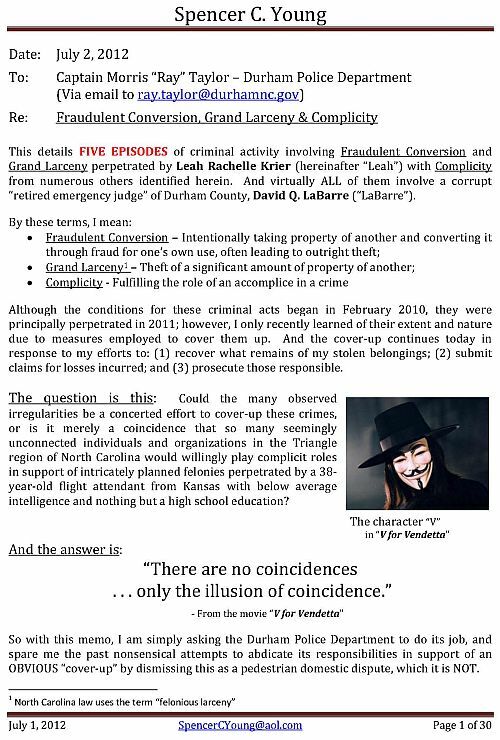 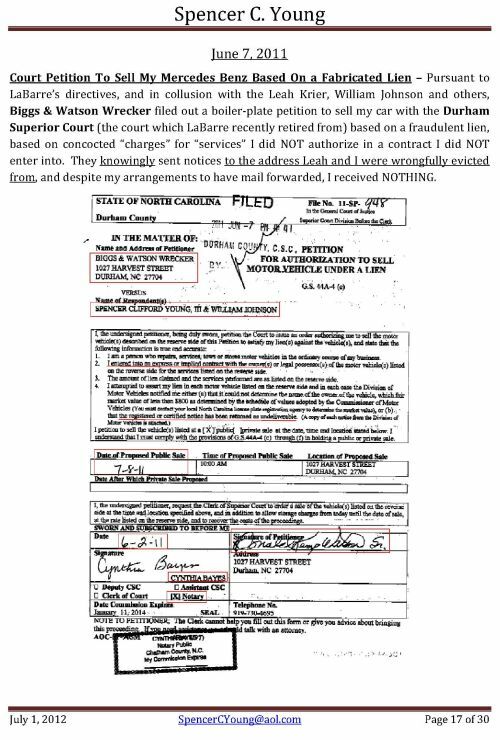 And even more remarkable, the 30 page criminal complaint / indictment against Judge LaBarre, Leah Krier and their accomplices (reproduced below) has, as of this posting, STILL NOT BEEN ACTED UPON !! 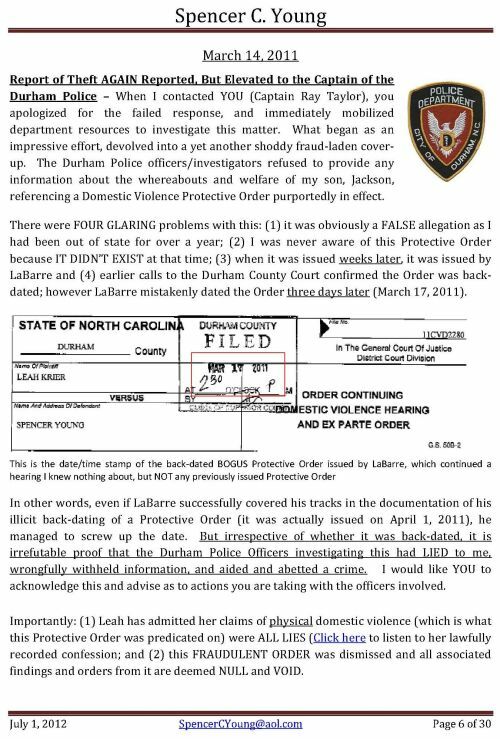 Shortly after Mr. Young was finally released from his UNLAWFUL incarceration, he began to press for the prosecution of this complaint and Captain Ray Taylor then abruptly resigned, which was represented as his retirement. 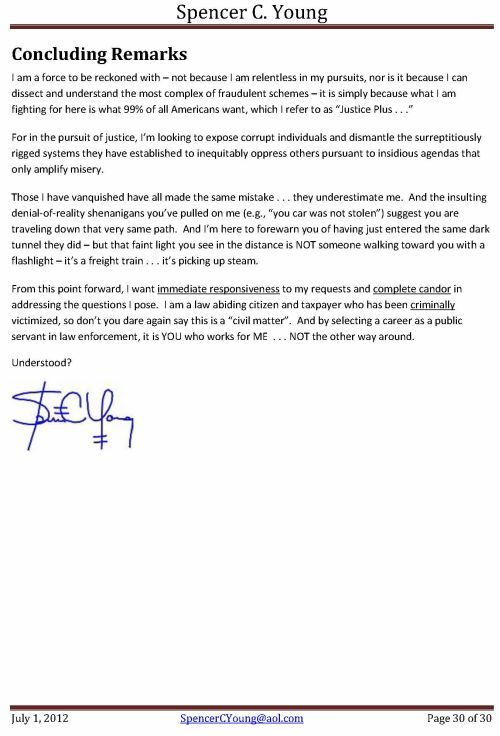 Perhaps this timing is just a coincidence. 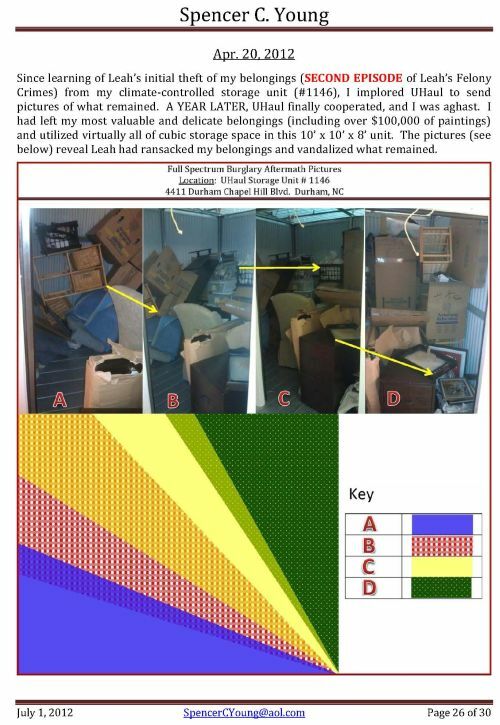 Really ?!? 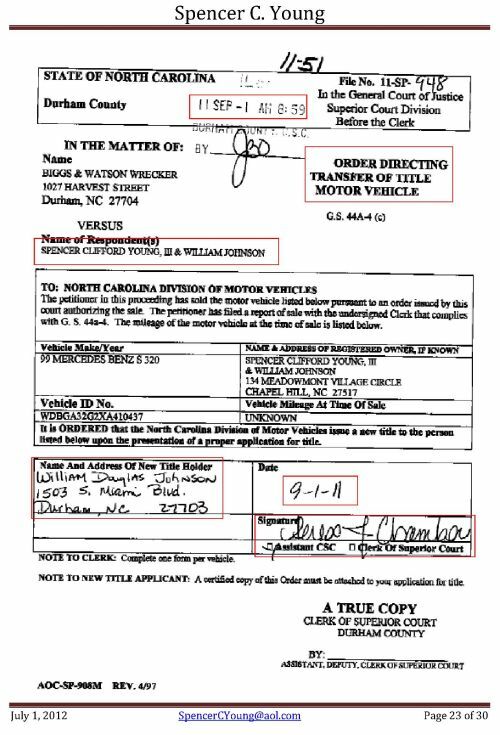 If you believe this, you'll be interested in a bridge for sale (pictured below). 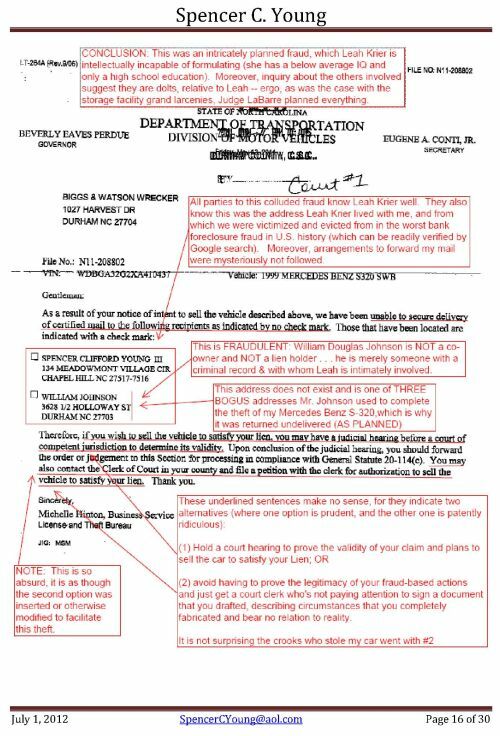 If you don't, then the first page of the complaint will affirm your assessment. 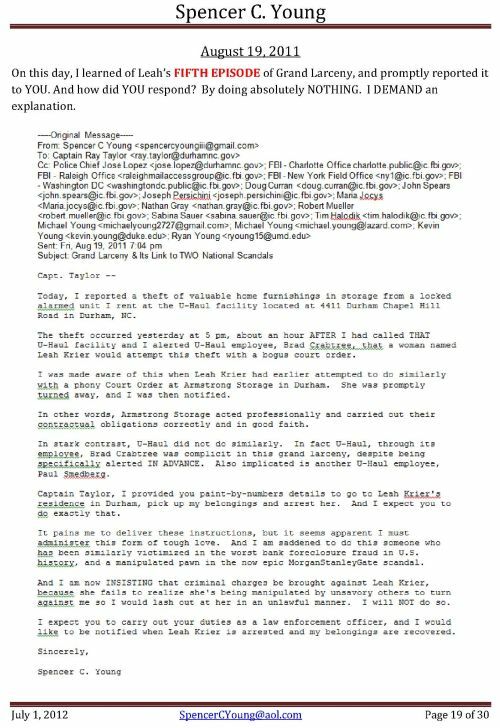 The reality is that Captain Taylor's early "retirement" is yet another desperate measure to cover-up a scandal where the explanations of all of the irregularities have more gaping holes than a block of swiss cheese. 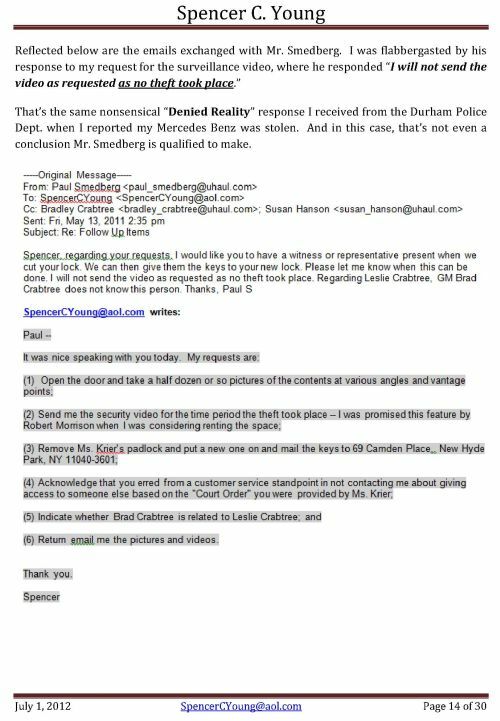 NOTE: The hyperlinks reflected in the body of the letter have been reproduced under each page should you be so inclined to access the additional corroborating information.